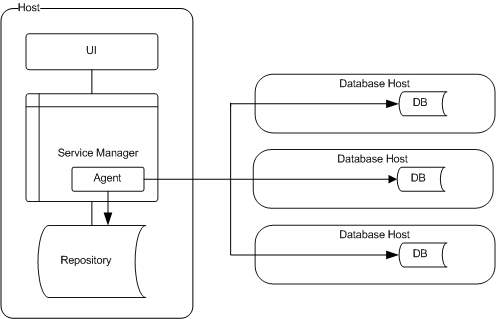 MySQL Enterprise Monitor Agent monitors the MySQL instances and hosts, and collects data according to a defined schedule. The collection data is sent to MySQL Enterprise Service Manager for analysis and presentation. MySQL Enterprise Monitor Agent is typically installed on the same host as the monitored server. 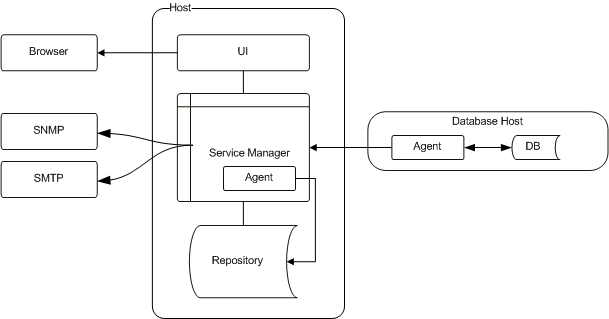 It is also possible to perform what is called an Agent-less installation, where the Agent is not installed on the host machines, and all monitoring is done by MySQL Enterprise Service Manager's built-in Agent.